PLEASE VISIT www.miniatureworldoftrains.com for more information. We are raising funds to create the USA's largest and most advanced model railroad in North America. A new lease to own location has been located and we need the funds to start the lease! What do Disney Theme Parks and the Miniatur Wunderland™ in Hamburg Germany have in common? They do not have a presence in Greenville or the Upstate of South Carolina. We intend to can change that! You all know Walt Disney World™ and Disneyland™ and some of you know the Miniatur Wunderland™ model train display. Both of these 'family attractions' see millions and millions of visitors of all ages each year attend the venues. There is a growing global trend of these vast animated miniature world attractions, and we are excited to be first-to-market at this very sophisticated level in the USA. It is our intent to bring a large scale model railroad attraction that combines a fun and whimsical atmosphere, technically advanced miniature world in a state of the art building to Greenville, South Carolina that is better and more advanced then Hamburg! 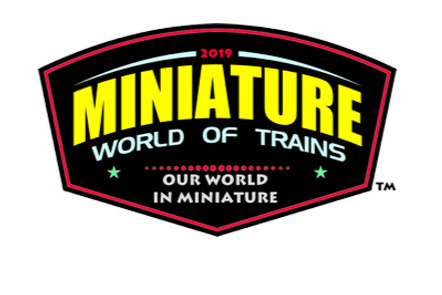 The Miniature World of Trains will be located in a facility of up to 60,000 square feet, with the first phase set at 30,000 and an additional 10,000sf of retail, restaurant and ticketing. The site has been determined and we are moving forward as fast as we can to a Christmas 2019 opening of the Christmas Model Trains Train Display™ and the opening of phase I of the Miniature World of Trains™ in the first half of 2020. There is a miniature train display being built in Canada that was scheduled to open in 2017 but that has not occurred as of the last update for this page. There are numerous large scale model train displays in Europe besides Miniatur Wunderland™. Each drawing hundreds of thousands of visitors each year. Hamburg draws over 1.2 million visitors each year and is the number one tourist attraction in Germany! The BETA version of the Miniature World Of Trains™ located in downtown Greenville, SC was a non profit and the new will be an LLC with a funding goal of $2,000,000 for Phase I ($50,000 on the GoFundMe Page). The BETA version no longer exists. It was open from 2013 to 2015 attracting close to 80,000 visitors during its scheduled temporary run. The BETA test was exactly that. A test the was a success despite the parking issues. It has lead to this new version currently being developed. The non profit downtown closed for three reasons. The lease ran out in January 2015, lack of parking for visitors and volunteers as well as we could not get enough volunteers to help with day to day operations and the building construction in the West End area. Also, there was no where else to move to at that time. It has taken since 2015 to find a location to build our own 30,000sf building for PHASE I or lease a location while we build in the future. The buildout location will be expandable for future additions and attractions in same permanent location. A location has been found and will be announced soon! Railroad fans and model railroaders alike will love this location! In the meantime, we will need to lease a location that is centrally located with easy access and free parking! Join Us As An Investor or Donor In The New MWOT! We're excited to announce our large and small investor / donor fund raising campaign! We want to offer everyone worldwide who share our passion for this amazing display the opportunity to be a part of our story and mission. This will allow you to help create a little piece of the world they love, in miniature. When you invest or donate you're helping to build an experience in miniature showing the worlds vast and diverse beauty. The display(s) will be a quick way to visit the world in miniature during one trip. It will entertain and educate everyone that is a tourist, adult or school child. Join us in building an exciting new legacy of the world starting with the first phase in 2019, the All NEW! Christmas Model Train Display™ and in 2020 Phase I featuring the large city scene, the Appalachian Mountains and the main dispatcher staging area. It will be a miniature journey of discovery and delight from coast to coast and then the world! What Is The Miniature World Of Trains™? the largest educational model train display in North America! The new location will be convenient for visitors from around the region, the USA and the world. in a fun and educational way that the whole family will enjoy! Our interactive "museum" display let's you experience the real and fictional world in miniature. 1/87 HO scale to be exact. Explore the beauty of our planet, specifically the United States, in one location. See the wonder of nature and the scale of a big and small cities and point in between in miniature. Follow the HO Scale railroad from scene to scene as trains travel our miniature world. Interactive buttons will allow you to operate trains and mini scenes throughout the display. from our home in Greenville, SC and around the world! by exploring our miniature world and interacting with it. Everyone from children to adults will have unique real "miniature world" experiences without leaving Greenville! Our miniature world is not just a big model train display, it's a world class experience! Discover history from the past and modern day. Watch as the goods that we use everyday travel from location to location via our real and fictional towns, cities, industries and massive scenery on our impressive display. When complete, you will be able to travel from the south eastern foothills of the Blue Ridge Mountains fictional City of Greenburg™ South Carolina to the City Of Industry™(coming in the future) on the west coast. A Miniature World of Trains™ day only lasts minutes. Then day turns to night time and the stars come out! eastern mountains and big and small cities, to the central plains, towering Rocky Mountains, western desserts and the west coast of California from along the Pacific Coast to the Port of Long Beach. The display's first phase will be the City of Greenburg™ and a representation of the Blue Ridge and Appalachian Mountains as well as the massive behind the scenes model train staging area called Cheyenne Mountain™. It will be the largest model train staging area in the world! There will be hundreds of moving trains and vehicles, thousands of buildings, hundreds of thousands of people and trees all to give you the feeling of actually being there in miniature without really leaving home! The Miniature World of Trains™ is a perfect destination to learn about "Our World In Miniature"™.